Cancer, the “C” word. This insidious disease touches us all. Certainly, cancer has touched and changed my life, and probably yours. As I wrote my new novel, Revelation at the Labyrinth, I was accompanying one of my good friends, Chris Parli, on a six-year journey with Stage 4 ovarian cancer. As she defied the odds, I wrote on, gaining inspiration and assistance from her. She passed on shortly after I finished the book, and I dedicate this book to her heroic journey. Cancer seems to be part of my family’s journey as well. My grandfather struggled with skin cancer. My uncle died from skin cancer gone wild. My father developed prostate cancer and then colon cancer. Although treatments and surgery led to healing for my dad, he suffered a stroke following colon cancer which led to mental and physical decline during the last two decades of his life. My mother was diagnosed with breast cancer just as my parents moved to a retirement community. After undergoing a lumpectomy and radiation, she thought the ordeal was over. But a few years later, her cancer resurfaced in her tailbone. The doctor told us that they could shrink the tumor with radiation, but it would come back. The doctor said, “Take your pill.” (She needed to take an anti-estrogen pill). I smiled. I went home and researched alternative cancer treatments and brought my mom everything I could find. My mother, who studied nutrition in college, and took her first job at Dr. Hay’s Retreat Center in the Poconos, where diet led to cures for his arthritic patients, always believed in natural healing. She adopted alternative treatments with fervor. First and foremost, prayer, but also Andrew Weil’s diet, shark cartilage, and laughter. At the time, my mother was reading a book I gave her, entitled Happiness is a Choice. The book chronicles the journey of two parents who gave birth to a child with severe disabilities. They found they could choose a response of joy, rather than despair, and went on to write this book to inspire others to face their difficulties with happiness. I doubt I would’ve given this book to my mother if I knew what she faced. But, she read it happily and applied it to her situation. In fact, she then proceeded to write a letter to all of us in her family. I still remember some of her words, as she prepared for what she thought would be her death. “In the time that I have left, I choose to surround myself with people that will help me laugh, rather than cry.” So she asked us to help her laugh when we visited. I remember buying joke books and having my sons read them to her when we visited every weekend. We watched America’s Funniest Home Videos with her and played the family favorite card game of Oh Heck, which always makes us laugh. My father continued to decline after his stroke, and my mother found it harder and harder to care for him in the duplex at Otterbein Home St. Mary’s, where they lived. I realized that her life became so hard, trying to meet his needs, that she perhaps struggled to find the courage to continue living. So, I talked with the nursing staff at Otterbein, and suggested it might be time for Dad to move into the assisted living facility. They agreed, and my dad graciously moved, to help Mom. I know that helped her quite a bit as well. Six months after her diagnosis, I returned to the doctor with my mom to get the results of her tests. He told us the cancer was gone. I couldn’t believe it. It was truly a miraculous time for us. Later, my mother told me she heard that doctor started encouraging alternative treatments for his patients. I gave thanks to God, that my mother could continue to live and enjoyed several more years with her, until she passed away from complications of pneumonia at 83. So, my mother also inspired me as I wrote this book. I remembered how she faced her cancer head-on when it returned in her tailbone and tried many alternative treatments, in addition to her doctor’s recommendation and prayer support from as many people and communities that we could enlist. And so my character fights hard as well. As I have walked with friends and family through their journeys of living with cancer, I have found that support and prayer from friends and family are so important. So, you will see the MAMs Book Club circling around Molly Mabra, the MAM who gets breast cancer in this novel. The MAMs, her husband and sister help pull her through this experience. Sometimes, we feel powerless when facing cancer, but there is so much we can do to walk with others through their cancer journeys. I hope my readers will take inspiration from the MAMs. I love Bernie Siegel’s books, Love, Medicine and Miracles and Peace, Healing and Understanding. I found these books helpful in encouraging both Chris and my mom during their struggles with cancer. I’ve woven his approach into the story as well, as the MAMs read various selections with Molly about cancer. Many of Bernie’s “exceptional” cancer patients defy the odds of their diagnoses. Quite a few recover completely from terminal cancer. When our loved ones or we ourselves are sick, we pray for healing, and it doesn’t always happen as we hope. But Bernie would say the emotional and spiritual healing can be even more important than the physical healing. So, working through life and relationship issues becomes important. For my friend Chris, although her body eventually succumbed to the cancer, her spirit was healed, I believe, during her journey. Once when visiting an Indian mound with Chris after her diagnosis, a Native American shaman there encouraged her to think about what she was healing to do, what work did she feel called to do? I thought that was a great question, and so MAM Molly in my book considers this question as she journeys through her breast cancer ordeal. Cancer is an Earth issue as well. The incidence of cancer continues to rise as toxins from industrial waste enter our food supply and daily lives. I once asked an oncologist at our local cancer center to what extent our pollution of the environment is causing the cancers. He said that research clearly shows that the types of cancer vary by locations, and that there is no doubt that the chemicals and pollution are contributing to the cancers we face. One out of every three people now will face cancer in their lifetime. As we seek ways to prevent and cure cancer, caring for the Earth becomes important, as well. My book focuses on this as well. Molly’s story, mirrors my mother’s to some extent. My writing helps me grapple with my own experience. I hope the book may encourage people going through cancer treatment and those who support and comfort them. Let me know if the book encourages you! 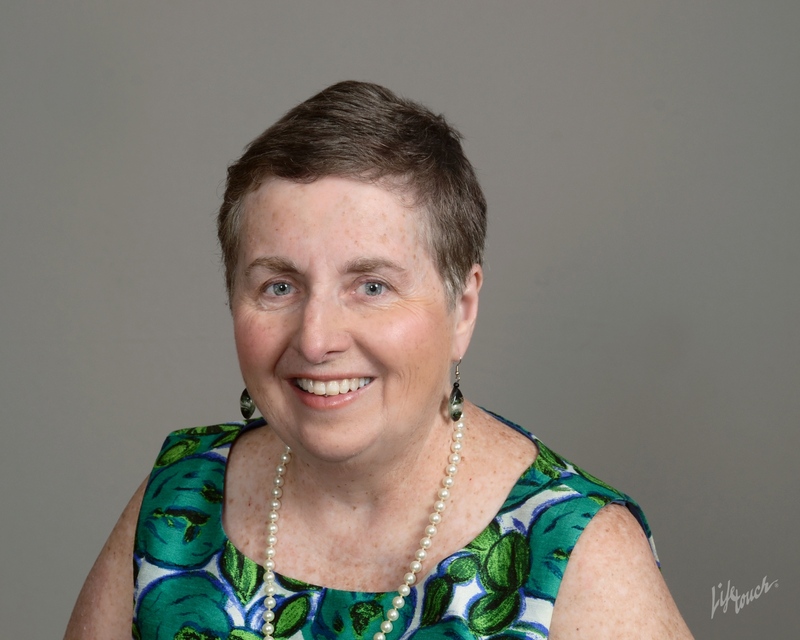 After my book was accepted for publishing by eLectio Publishing in May, my writing coach, Kathie Giorgio, was diagnosed with breast cancer in June. The story comes alive for us now as her family and friends walk with her through this difficult journey. And as my book launch comes during Breast Cancer Awareness month, it calls me to encourage all women not to forget their annual mammogram. Kathie skipped a couple years, which caused her cancer to become a bigger problem. She urges you to learn from her mistake. And if you have a generous spirit and ability to give, I would encourage you to consider helping her with medical expenses. Her husband lost his job recenty and with it, their health insurance, during Breast Cancer Awareness Month as well. She has a GoFund Me site, where you can contribute. And buy my book, read it and give it to someone in your life who is struggling with breast cancer. I pray it will encourage them to see this through! Thank you for sharing this Nancy…My grandmother died from stomach cancer and I’ve prayed for a cure for many years. I look forward to the lease if your new book and I hope to share it with those I know who are suffering from Cancer? Thanks, Tiffany, for sharing about your grandmother. And thank you for sharing my book with those facing cancer. I think it will encourage them.